Wikipedia has banned over 250 user accounts which, it says, were set up for commercially promoting products and institutions. Paid-for advocacy and the adoption of fake “sockpuppet” identities for promotional purposes are against the policies of the free web encyclopaedia, said Sue Gardner, executive editor of the Wikimedia Foundation. According to investigations by Wikipedia’s editors, most disputed entries appear to originate from a US firm, Wiki-PR, which claims to “build, manage and translate Wikipedia pages for over 12,000 people and companies”. The probe shows that entries were posted by accounts commissioned by Silicon Valley dot-coms, financial institutions, authors, doctors, a musician and an oil company, among others. 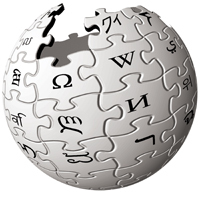 Wiki-PR disputed the idea that it broke Wikipedia’s rules by promoting or advertising its clients’ agendas, saying it merely wanted to ensure they were “presented accurately” on the site. “The PR in Wiki-PR is a misnomer—we’re a research and writing firm,” Jordan French, the firm’s chief executive, told BBC.